Everything for the best day of the year! If you are looking for a local guide, you will find it in the tour guide register and you can contact him/her directly. Do you want to go on tour with your family? We have gathered a lot of information to help you! Read about what it’s like to travel in Chile with children. Or would you rather join a group? Then you might find the right offer here. 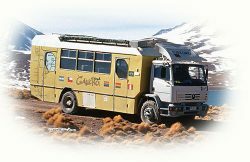 For travel companies we formed “El Caminante” for trips and hiking tours in Chile, Argentina, Peru, Bolivia and Brazil. Whether as an individual traveler or in a group, each guest plants a native tree in Chile. A small contribution to a more beautiful world.